Daughters of Destiny (B’dos) Inc. is only nine months of age, yet the concept of this organisation dates back to the beginning of the Christian Church. 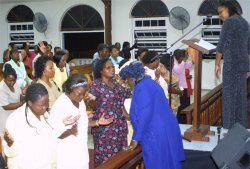 Drawn from most of the major churches on the island, Daughters of Destiny is the knitting together of Christian Women from all walks of life, with the common goal of reaching out to each other, and by extension the womenfolk of this island and the Caribbean. Our aim is to repair the bridges that have been broken and some cases abandoned. Bridges that linked God to things like success, charity, moral behaviour, being men and women of virtue and adhering to sound doctrine. 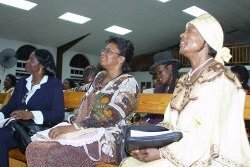 Our older women were commissioned to pass on not “old wives tales”, but how to be good mothers, good keepers of the home, sound biblical doctrines on how to love, how to be teachers of good things and of utmost importance, how to excel in business and do it honestly. The Vision of D. O. D. was born out of a desire to see Caribbean women reach their full potential and pass on their spiritual treasures.